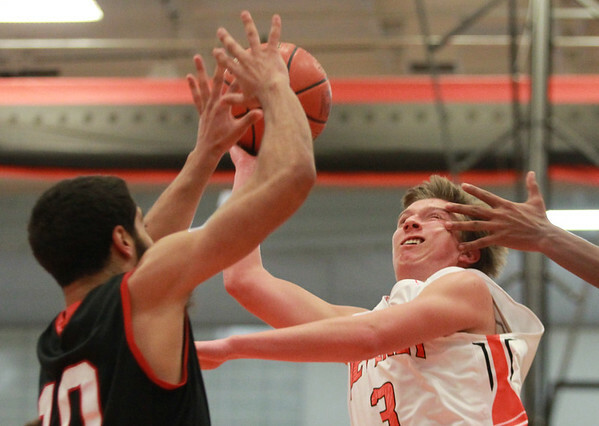 Beverly junior captain Kyle Coughlin (3) gets hit in the face while he drives hard to the hoop during the second half of play on Tuesday evening against Salem. DAVID LE/Staff photo. 12/16/14.